Supaset complements our wide range of innovative, designed-for-purpose products, which are contributing to our vision of being the preferred supplier of cement and concrete solutions. 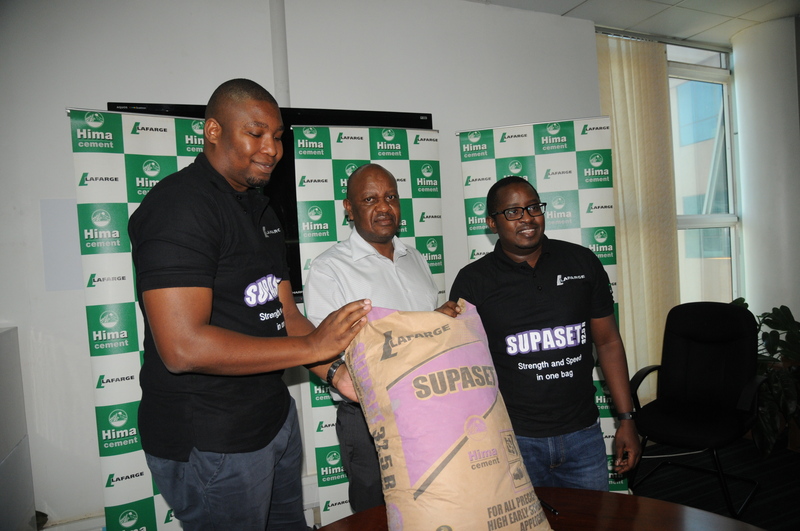 Hima Cement has today announced the launch of an improved and efficient brand, Supaset. “We are committed to developing and improving to provide high quality products that our customers can trust and rely on. Our products adhere to the stringent quality standards and undergo very strict testing procedures to ensure reliability.” Said Hima Cement Marketing Director Mr. Allan Ssemakula at the Launch of Supaset 32.5R at the company head offices in Kampala. Hima Cement focuses on understanding the needs of its customers and applying its unparalleled technical strength to provide user-friendly, quality solutions, promoting faster working, enhanced productivity and cost optimization. We know that in these times more than ever, time is more valuable to our customers. With this new product, we shall see our customers enjoying the fast, more consistent, cost effective results synonymous with using Supaset.” Said Allan.